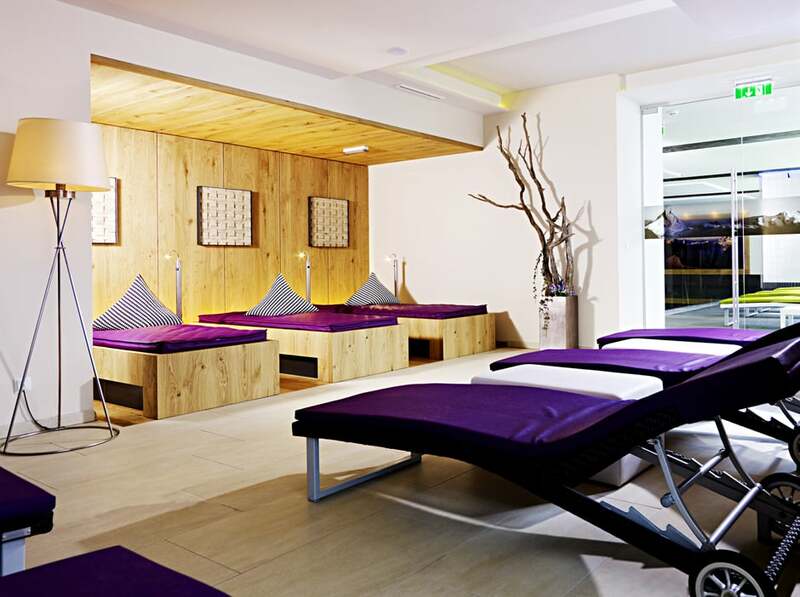 Enjoy heavenly days at our spa hotel **** Superior Hotel Fliana in Ischgl. Our generous indoor pool is 13-m long and has ca 70 m², and the bright and peaceful relax area are lined with inviting lounge chairs waiting just for you. 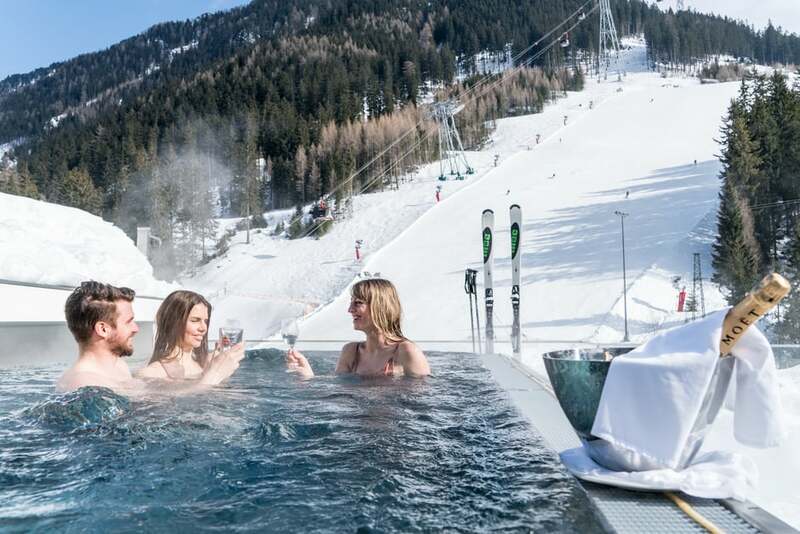 The Fliana is the best choice for a spa holiday in Ischgl – enjoy your spa holiday in the beautiful Tyrol! Expect a relaxed atmosphere and a feeling of familiarity. The facility is spacious, the ambiance is contemplative, and all details are carefully matched with harmonizing colors and modern elements. We are looking forward to caring for your bodily and spiritual rejuvenation and well-being. 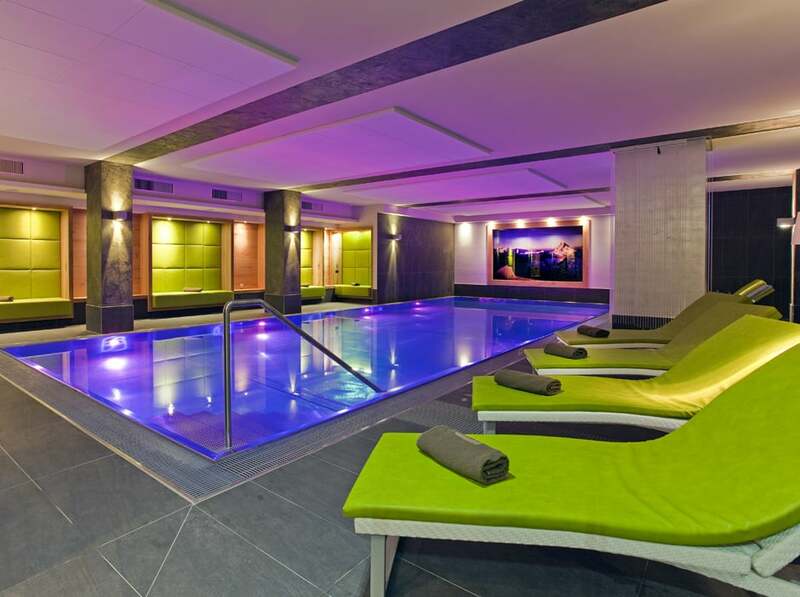 Beautiful indoor pool with stone and modern materials interior. The new relaxing highlight in our 4 star superior hotel is the large jacuzzi on the roof patio. Up to 10 people can enjoy the view of the mountains. 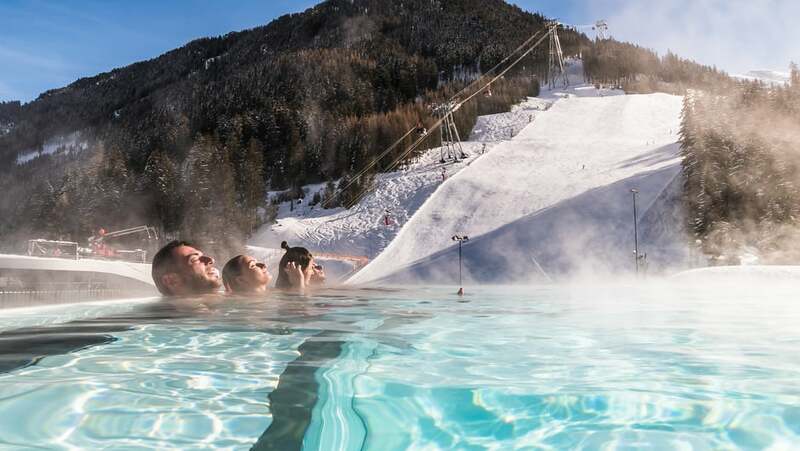 On the roof patio there is a pool with gorgeous panoramic views on the slopes! On the roof patio there is a pool with gorgeous panoramic views and a sunbathing lawn. Relax area with lounge chairs. Bright and peaceful with comfortable lounge chairs – a perfect atmosphere for perfect bliss.